Our teachers are all native French speakers with experience in teaching young children, and some of them are French teachers in schools around St Albans! We all share the same passion for teaching children and we make every effort to create dynamic and interactive lessons that make learning French interesting and fun. I grew up in Burgundy and came to England for work experience where I not only fell in love with London but also my husband. After completing my studies I settled in London and I work in International Business Management enjoying meeting with different cultures and travelling around the world. Teaching came to me later when bringing up my boys as bilingual made me realised how much I enjoyed teaching. Teaching at “Les petits Ecoliers” is a real pleasure and I always look forward to spending time with the children. I love most sports, especially water sports. My weekends are spent with my family and filled with activities of all sorts. I believe in trying everything and opening up horizons. Our free time is never boring! I grew up in Nevers in France which happens to be twinned with St Albans! I came to St Albans in 1998 to become an au-pair to a bilingual family; languages and children were already present then! I met my British husband while au-pairing and never looked back. I have now been here for 20 years and have 2 bilingual children. I worked in London as a conference organiser for years, but decided to change my career in order to be more at home with our children. As a result, I started teaching French to very young children in schools from Nursery to Year 2 and GCSEs level privately. I am a full-time Nursery teacher and have been with Les Petits Ecoliers since 2015. In my little spare time I love running, swimming and ballet, but most of all I love spending time with my family and friends, watching shows and travelling to new places. I grew up in Lyon and first came to England to finish my studies. 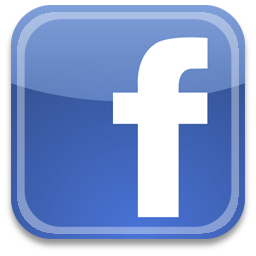 I worked in human resources in London for several years. I am still here twenty years later! My husband is English and we have three daughters. Bringing up my daughters as bilingual made me realise how much I enjoy and I am passionate about teaching French to children. I therefore started teaching French in primary schools and privately as a French Tutor (both individual and group lessons) in 2010. I love reading and I have always been interested in French literature in particular. I thoroughly enjoy travelling and discovering new countries and cities. I also love doing crafts with my children so I like to encourage them to create and try all sorts of activities (sand art, clay modelling, knitting, Décopatch etc.). I grew up in a village near La Rochelle. I have always loved travelling, languages and different cultures. My husband is of Indian origin and we have 2 children whom we raise bilingual. I moved to London in 1996, where I worked as a French assistant in schools for two years. I then trained as a teacher (PGCE) and taught French, German and Spanish in Secondary Schools for ten years in the UK and the US (North Carolina). I subsequently specialised in teaching French in primary schools, currently at St Albans High School For Girls, where I am the languages Co-ordinator. 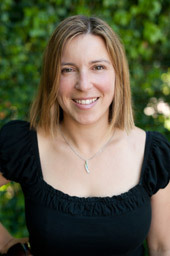 In addition to joining Les Petits Ecoliers as a teacher in April 2012, I share my expertise and experience in teaching to help to run the school successfully. Besides being a busy mum, my interests are dancing and travelling. I am always itching to discover new places, and my suitcase and dance shoes are always at the ready! This adventurous spirit carries on in my classroom! I grew up in Limoges and after finishing my A-levels, I decided to come to the UK in 2014 as an aupair. It was supposed to be just for one year before returning to France to study medicine. However, I enjoyed living in the UK so much that I decided to continue my studies in the UK instead and was offered a place to study at Hertfordshire University! I am in the third year of an English and Communication degree to become a teacher. This degree made me realise how much I love languages, teaching, and working with children. When I’m not studying, I’m giving private tuitions (I have been teaching for four years, mostly teaching French). I love music and I have been playing the piano for over 10 years (I sometimes teach music and the piano). The rest of my time goes to sportive activities, I do horse-ridding and I am a windsurf teacher over the summer! I love challenging myself, and I am so happy to be working with Les Petits Ecoliers! I grew up in Saumur, a small town in the West of France famous for its cavalry school, castle, and wine! Then I went to Paris to study communication and advertising. After living 11 years in Paris and having worked in the media, I followed my husband to the UK and we moved to St Albans in September 2017 with our 2 children. Whilst looking after my children in an English environnment, I felt the desire to share my culture and to teach French. 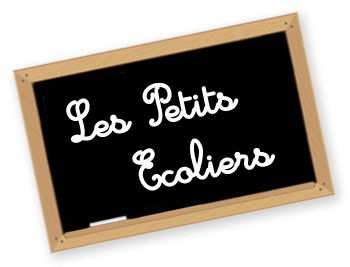 I joined Les Petits Ecoliers in September 2018. I grew up in Saint-Marcellin, also known as "the cheese town". It is located in a mountain area, which is why I love nature and hiking in general… and of course, the cheese from the town! I share this with my husband and our little girl, who makes me happy every day. After completing my degree, I taught in France for three years as a Primary School teacher. For as long as I can remember, becoming a teacher has always been my dream because I love to pass my knowledge to others. I love to be surrounded by my pupils and teach them new subjects by using practical and diverse methods. I've been living in the UK since 2016. I'd like to pursue my career in teaching in this country which I enjoy discovering day after day. I spent my childhood in Africa and then settled down in the South of France, in Hyeres with my family until I went to university. After studying English and web marketing, I started working in various jobs first in France and then abroad to finally settle in London where I met my Anglo Peruvian husband. Two children later, I went back to Uni to do a PGCE in Modern Foreign Languages in London. I moved to Hertfordshire and spent a few years raising my children until Les Petits Ecoliers popped into my life and gave me a new opportunity to keep a link with the French speaking world. I have been teaching there since 2016 and my girls are both attending as well. I never fail to be amazed by the open-mindedness and rich cultural ancestries of the children I have the privilege to teach to. I am from the South of France (Beziers) I came to England in 1996 originally to stay for just 6 months to perfect my English but I loved it so much that I stayed. Before teaching, I worked in hotels and restaurants for 15 years. After saying no to “help with the French Homework” a few times to friends, clients and colleagues, I finally gave in and decided not only to teach on my days off but also to quit the catering industry for good after 2 years of juggling the two to concentrate on teaching. I have been working since 2004 in the 2 best schools in Hemel Hempstead but I also teach privately to adults and children on a 1-to-1 basis or as a group. I joined Les Petits Ecoliers in 2013. I love spending time with my little boy but also sharing good time with my family and/or my friends in England or France. I also love travelling and discover new places with my partner and our boy. I'm from Paris and have lived in Paris and the Vendee region. My husband is Greek-Cypriot and we have 2 boys. Family is very important to me and the members of our extended family, including Greeks, French, Italians and even Japanese, enjoy getting together often. I moved to the UK in 1995 and started teaching French to children up to 12 years old. I'm currently working at St Columba's in St Albans as a French teacher and I have been working at Les Petits Ecoliers since 2010.